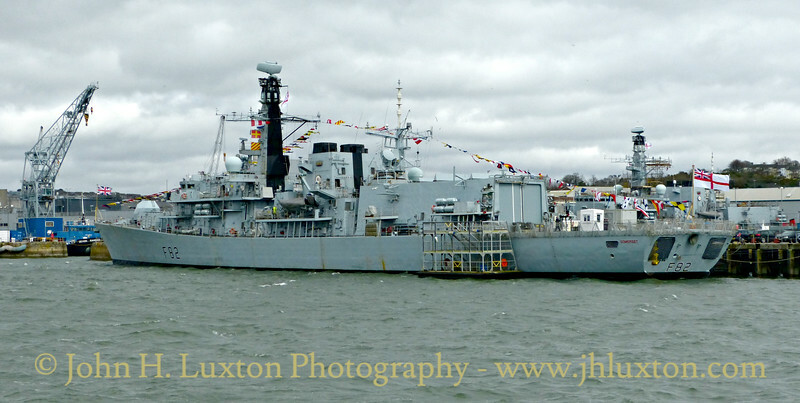 A cruise around Devonport Dockyard on March 27, 2018. 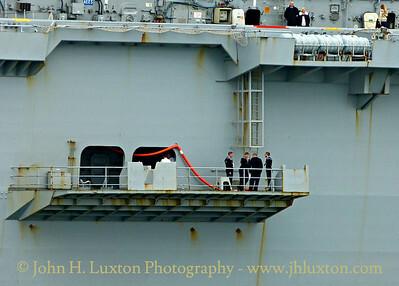 This was HMS OCEAN decommissioning day and Her Majesty Queen Elizabeth II was on board HMS OCEAN for the decommissioning ceremony. 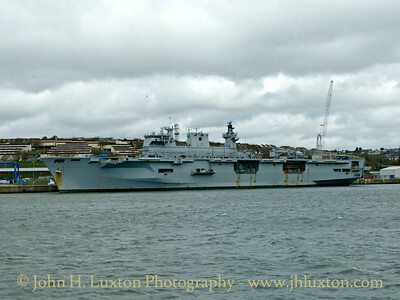 Photographs of HMS OCEAN (L12) - Landing Platform Helicopter - taken on March 27, 2018 - the date Her Majesty Queen Elizabeth II visited for her decommissioning ceremony. 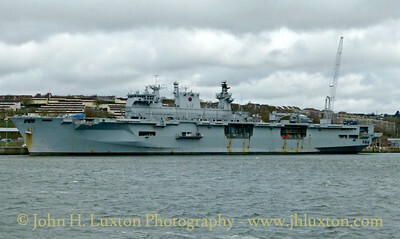 Helicopter Carrier HMS OCEAN was the Royal Navy fleet flagship and helicopter carrier. Launched at Vickers, Barrow in 1995 and comissioned in 1998. 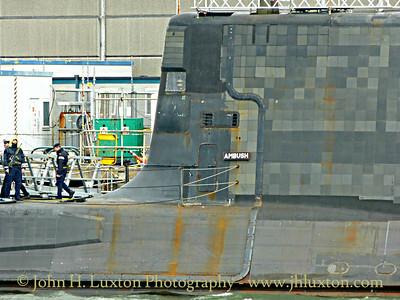 Astute Class submarine HMS AMBUSH alongside at Devonport Dockyard. 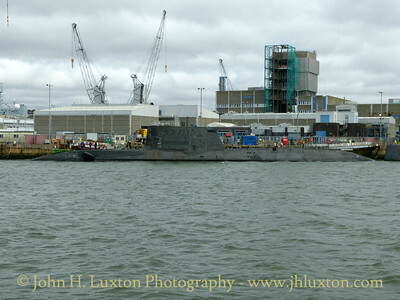 HMS AMBUSH was commissioned in 2013. In 2016 she was in collision with a freighter near Gibraltar which caused £2.1 million damage. 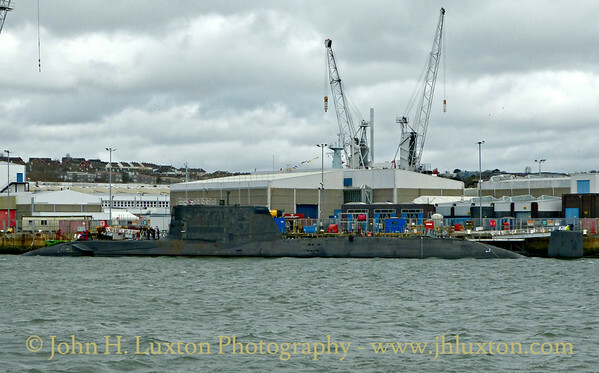 Astute Class submarine HMS AMBUSH (S120) alongside at Devonport Dockyard. 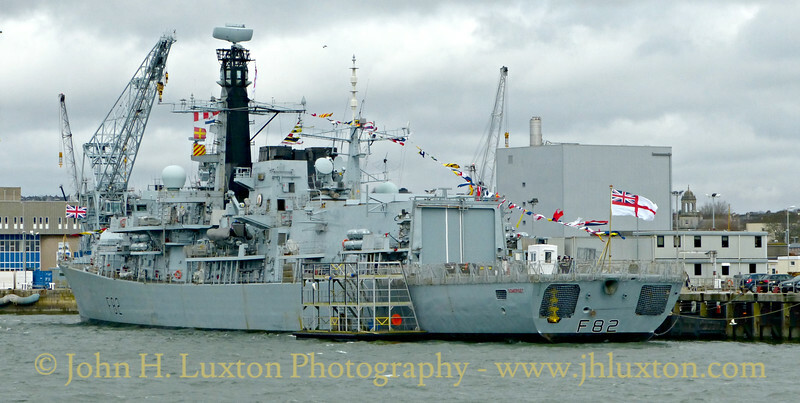 HMS AMBUSH was commissioned in 2013. In 2016 she was in collision with a freighter near Gibraltar which caused £2.1 million damage. 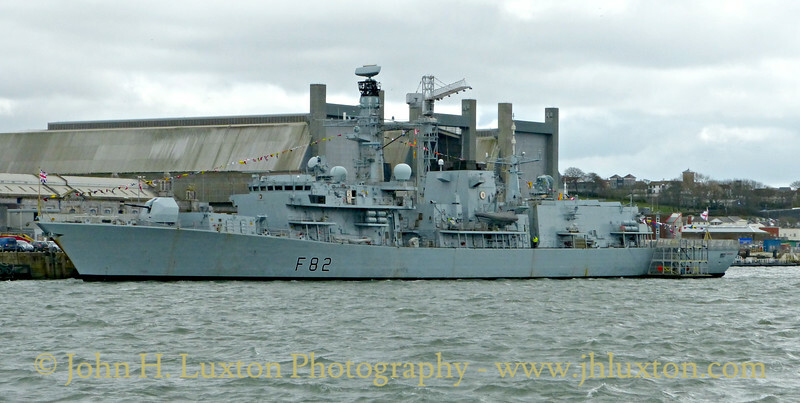 HMS SOMERSET (F82) Type 23 Frigate seen at Devonport Dockyard. 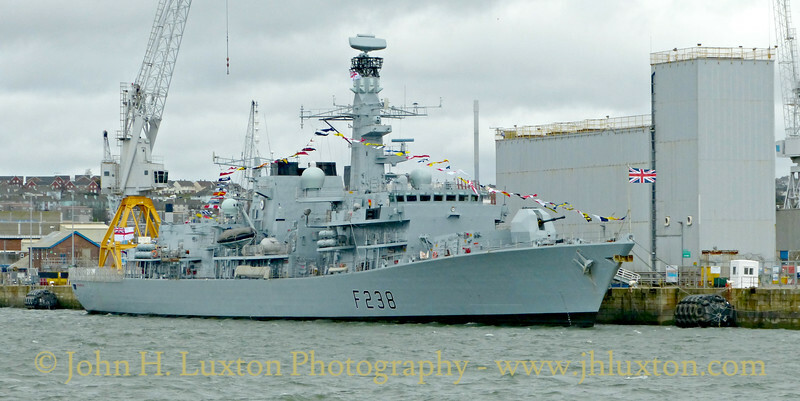 The ship is dressed overall to mark the visit of Her Majesty Queen Elizabeth II to Devonport for the decommissioning ceremony of HMS OCEAN (L12). 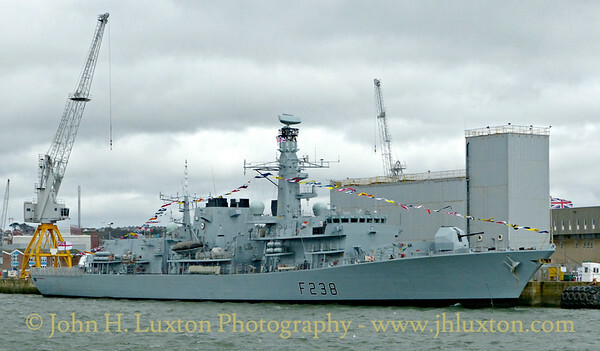 HMS NORTHUMBERLAND (F238) Type 23 Frigate seen at Devonport Dockyard. 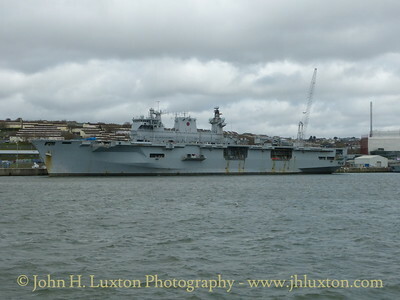 The ship is dressed overall to mark the visit of Her Majesty Queen Elizabeth II to Devonport for the decommissioning ceremony of HMS OCEAN (L12).